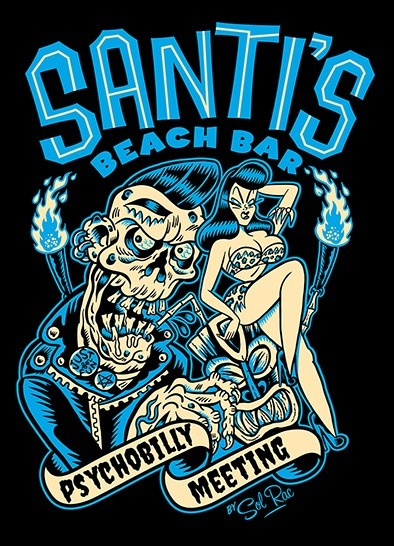 This year there is a new Santi´s Beach Bar TShirt done by the great and good friend Solrac !!! 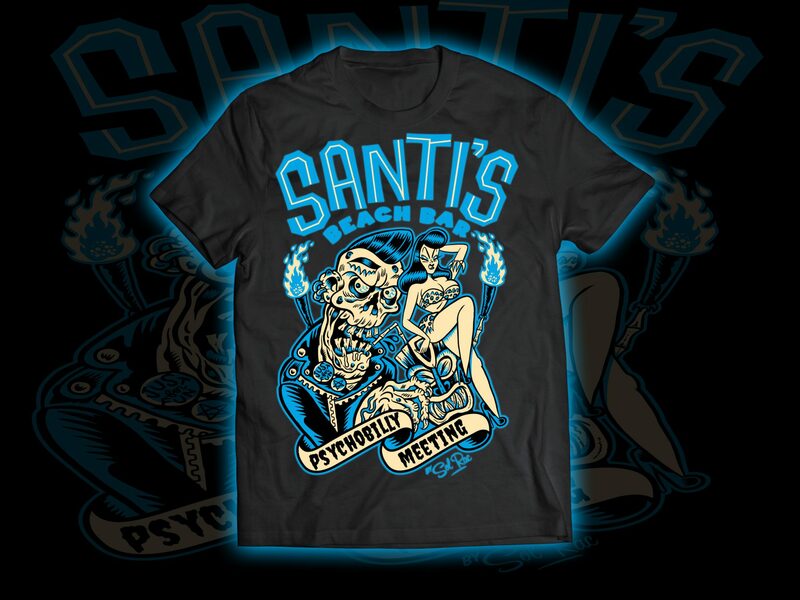 You can get it at Santi´s or at the Just For Fun stall at the festival venue and after, through our webpage. Y este año Santi´s Beach Bar estrena camiseta ! por nuestro artista y buen amigo SolRac !!! La puedes comprar en el Santi´s beach bar , en el stand de Just For Fun en el festival y posteriormente a través de nuestra web.